Situated in the heart of the vibrant Flinders Lane shopping and dining precinct, Adelphi Hotel boasts free Wi-Fi, free local phone calls and free in-room snacks and refreshments. 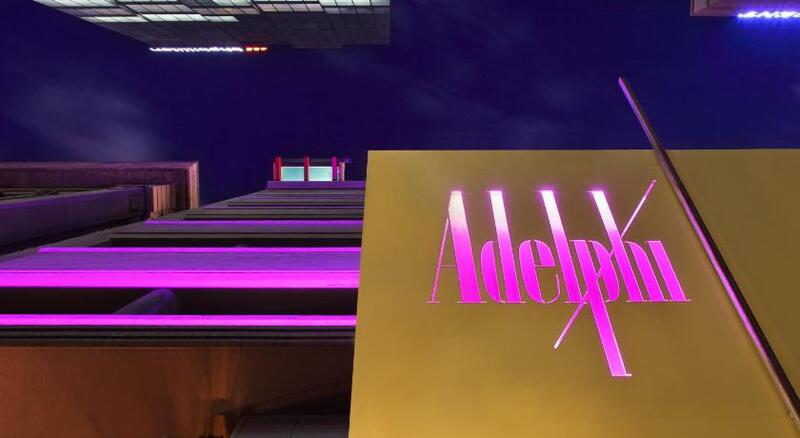 Conveniently located in Melbourne CBD, Hotel Adelphi is within 5 minutes' walk of Flinders Street Station and Federation Square. Melbourne Cricket Ground (MCG), and Etihad Stadium are both less than 10 minutes' drive away. After a busy day, guests can enjoy a relaxing swim in the outdoor swimming pool. The Om Nom Restaurant offers a tempting ala carte menu and delicious desserts. The bar serves a wide selection of wine, beer and cocktails. Each air-conditioned room features an iPod dock and flat-screen TV. There is also a refrigerator, work desk and a Lavazza coffee machine. The en suite bathroom includes bathrobes and a hairdryer. A room service menu is available 24/7.